Find out about the Bruneian student community at Southampton, entry requirements for our courses and other information specific to your country. You will need to be able to demonstrate the required level of English language proficiency. Students from Brunei who have achieved Cambridge O Level – English grade C+ may be exempted from additional English language requirements. We are pleased to welcome students from Brunei to the University each year. Getting involved in clubs and societies is a great way to meet other students from your country and from around the world. There are many societies run by the University's Students' Union (SUSU) for different interests, religions, sports and academic groups. You may be interested in joining the Bruneian Southampton Society (BruSton) on Facebook (log in required), or you can read their blog to find out how they help to bring Bruneian students at Southampton together. 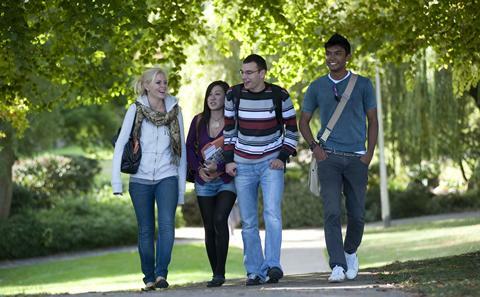 University of Southampton is one of the top Universities in Research and Teaching. In addition to that, this University offers a wide range of courses. What attracted me most was Maths with Actuarial Science, a course combining all aspects of Maths, Statistics, Economics and Finance into one package.